Short on time? This is an express 45 minute MMA class based on High Intensity Interval Training (HIIT) that will work your entire body! Have you ever seen an MMA fighter who wasn’t in incredible shape? Chances are, you haven’t. MMA Express is specifically designed to get you in the best shape of your life and boost your overall fitness levels – improving your muscle tone, body strength, cardiovascular endurance, power, coordination and athleticism with this MMA class. Every part of you is going to benefit from these types of classes – You’ll learn authentic kickboxing, muay thai and jiu-jitsu moves catered towards fitness in one intense workout to burn up to 600 calories per class. This class is designed for all fitness and MMA levels – no prior experience needed. Talent on the rise, Thomas “Tommy Gun” David is a young Mixed Martial Arts (MMA) fighter boasting an undefeated amateur and professional record and is also a Brown Belt in Brazilian Jiu-Jitsu (BJJ). A fighter to keep an eye on. He is currently competing in the HEX Fight Series – Australia’s premier Mixed Martial Arts promotion and is soon destined for the UFC! Passionate about fitness – Tom uses a variety of BJJ, boxing and kickboxing training techniques to build strength, conditioning and endurance. Tom has based the MMA Express class from the actual training program he uses to condition his body ahead of his professional MMA fights for peak performance in the ring and to last round after round without slowing down! Our MMA Express classes start with a brief cardio workout to get the heart rate up and to set your body up to burn calories throughout the remainder of the session. The warm up is followed by strength training – with pushups, squats, and abdominal work all targeted towards muscle growth and definition. Then the real fun starts. The class splits up into smaller groups, which rotate through kicking, boxing, and ground drills designed to simulate the short, intense rounds of an MMA fight. These intense combat drills test your physical and mental stamina, improving endurance and athleticism. At the end of the session, you will go through a light warm down to gradually bring your heart rate and breathing back towards the same rhythm you had before you started your workout. During your warm down is a great opportunity for you to reflect on your accomplishment and give yourself credit for the hard work you did during the workout! and conditioning programs that are followed by elite Mixed Martial Art (MMA) fighters in a safe, non-contact environment. The programs are taught by professional MMA trainers using exercises to simulate opponents and fighting situations, but without getting into people’s personal space! No – You do not need to be strong, flexible, or in particularly good shape before you start training in MMA Express. However, MMA Express is specifically designed to get you in fighting shape! Is MMA Express for me? MMA Express has something for everyone. If you want to lose weight, get fitter, want to learn self-defence, or just want to learn some authentic kickboxing, muay thai and jiu-jitsu moves then MMA Express is for you! Ready to start? 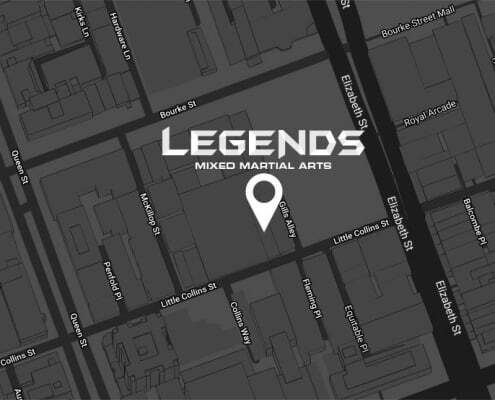 Get your first session for FREE at Legends MMA! Your first class is on us! 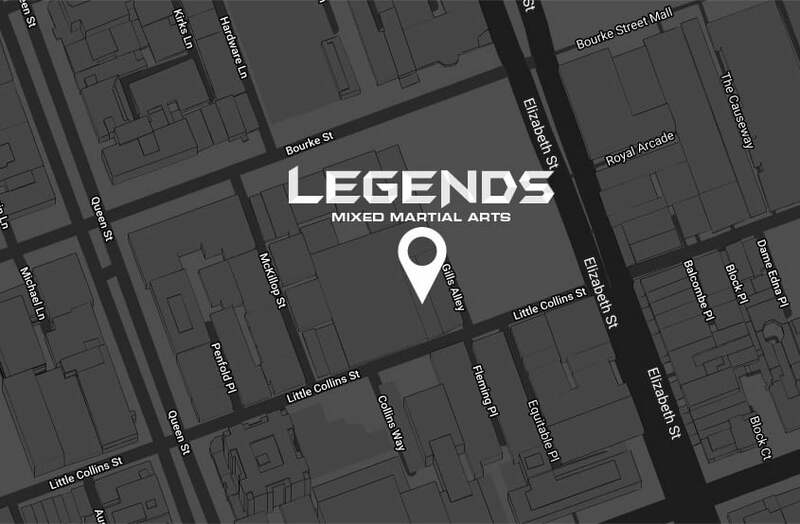 Complete the form below to book your first class for FREE at Legends MMA.